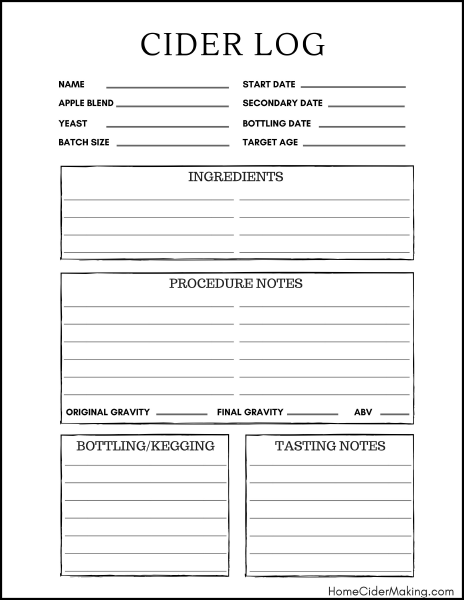 Whether you are new to making cider or have many batches under your belt, you have probably popped off the airlock of a fermenter, went in for a sniff and were greeted with a nose full of sulfur. It’s certainly disappointing. When yeast becomes stressed or is exposed to less than perfect conditions, some start to produce sulfur, more accurately H2S, and cause cider to stink like rotten eggs. This off-putting aroma is often referred to rhino farts, and while I have never made the direct comparison, I’m sure they are equally unpleasant. Often noticed at the end of primary fermentation, the pungent smell of sulfur overpowering the apple cider may be the result of a poor fermentation. But, don’t dump the cider down the drain just yet, there are a few ways to get rid of the rhino farts! The first and second methods can be used together to naturally let the sulfur escape without having to mess with the cider too much. First, try to degass the cider by swirling or racking to a clean fermenter. This releases CO2 that is left over from fermentation and can carry some of the sulfur out with it. CO2 can also be bubbled through the cider, similar to aireration, by using the CO2 tank from a kegging system. 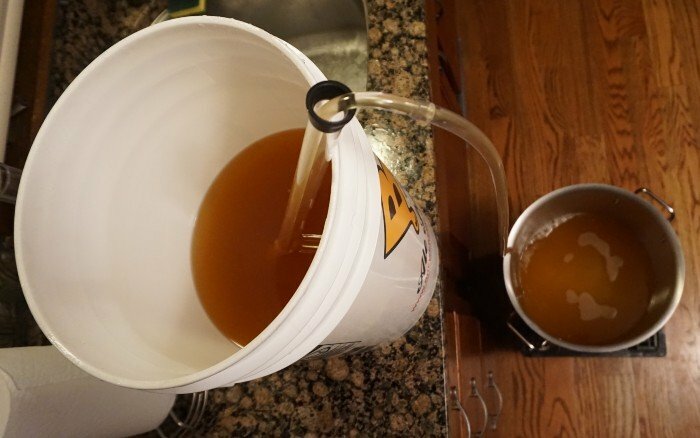 Next, the easiest yet most time-consuming method is to simply let the hard cider bulk age and hope that the sulfur works its way out of the airlock on its own. Often times just letting a cider rest for a couple weeks to a few months can help remove sulfur and improve the overall flavor. A scientific approach to removing the H2S from cider is to use copper to react with the sulfur. The two products that are used for this process are Reduless made by Lallemand and copper sulfate (CuSO4) which can be found in winemaking stores. The first, Reduless is an easier and safer product although both should be used strictly by the manufacturer’s directions. 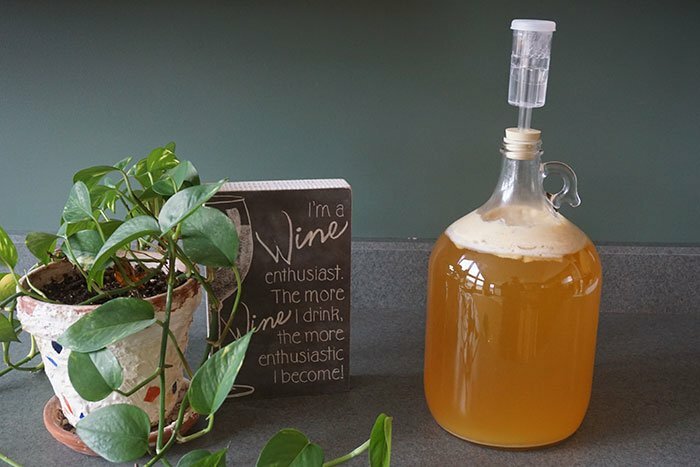 Some cider makers and winemakers have reported that using copper tubing or mesh can also be effective in reacting the sulfur but there doesn’t seem to be a calculated method for this. Using too much copper for too long may result in a metallic or green tinted cider. That being said, I have read a few instances where cider or wine had been racked through a copper pipe with little contact time and good results have been noted. 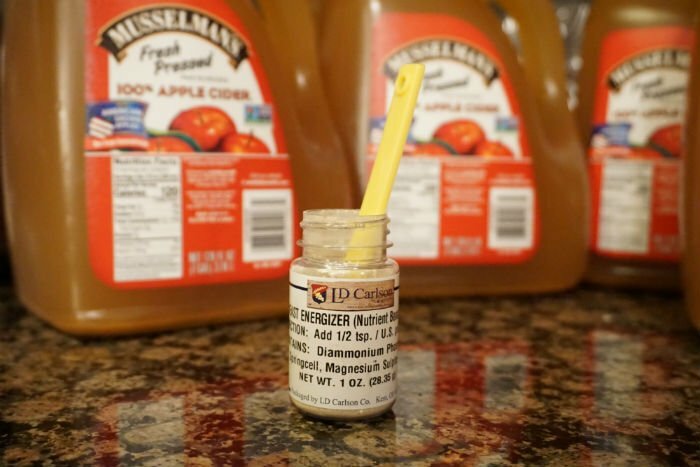 Because of the uncertainty, I suggest using Reduless since it can be measured and it is a tested product for cider making and winemaking industry. If the above methods just don’t seem to cut down on the sulfur enough, the last option would be to blend the batch with another cider that does not have any sulfur. Of course, always test this with a small sample before blending in bulk. How to prevent sulfur in hard cider? Using good fermentation practices and providing the yeast with a healthy environment will significantly help prevent sulfur in cider. The easiest way to ensure a good fermentation is to provide the right nutrients and temperature that the strain of yeast needs to thrive. I prefer to use Fermaid-K or Fermaid-O to provide a healthy amount of nutrients for the yeast and I typically ferment in the 65-68F range. When making the nutrient additions, and when adding the apple juice to the fermenter, I try to splash and stir so oxygen can work its way into the solution. Before yeast is pitched, blending in oxygen, also known as oxygenation, is very important for yeast health but often avoided because of the misconception of oxidation during fermentation. The truth is that yeast need oxygen for cell membrane synthesis; basically to reproduce. Without it, the overall yeast health declines and undesirable products are produced. Wyeast, a popular yeast manufacturer, suggest yeast have 10ppm of oxygen available in the liquid being fermented. In their experiments, they have found it hard to reach levels above 8ppm without introducing pure oxygen into the liquid. So, splashing the cider as its being added to the fermenter or vigorously stirring the cider before pitching will only be beneficial to the fermentation.